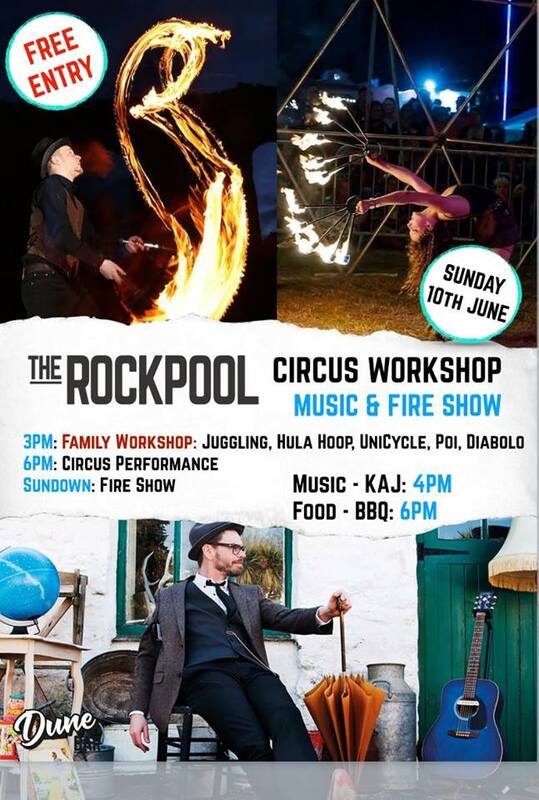 Bring the family down to our Circus Workshop with music from Kaj and our BBQ overlooking the dunes. Try your hand at juggling, poi, unicycle, diabolo and hula hoop! Bruce and Betty Circus Duo will then put on a performance whilst you enjoy the BBQ. And they'll finish off with a fire show as the sun goes down.